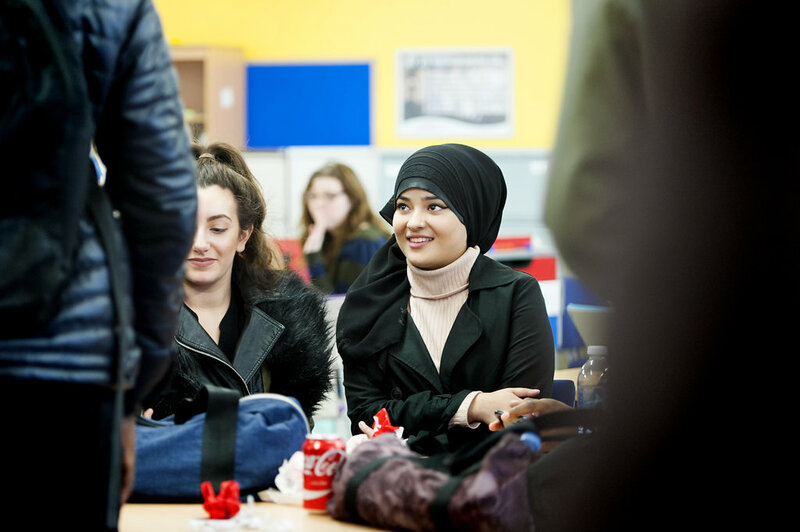 JRCS works closely with several local sixth forms, which allows students a huge range of choice when looking at what subjects they want to study. Subjects may be based in any of the five schools in our partnership. Most students will be doing 3 linear A level courses plus EPQ or IFS, or the BTEC equivalent, during year 12. They will also be able to follow enrichment activities. Students will pick something from each of the 4 blocks. The precise make up of each student’s courses and timetable will be finally decided in the light of GCSE results and in discussion with the Director Sixth Form. To start A level or Level 3 BTEC courses students will need the appropriate Attainment 8 score from their GCSEs including grade 5 for both GCSE English and maths. (Students with grade 4 will also be considered but their course choice will be more limited.) If the A level is a subject taken at GCSE the student should have a 5 or more in that subject. For maths A level students will need a 6 in the higher tier GCSE, and also pass the entry exam, science students will also need maths GCSE 5 plus at least two 5s in their science GCSEs. To start BTEC courses along with the appropriate Attainment 8 score from GSCE students will also need an aptitude for coursework. Duke of Edinburgh Silver or Gold Award – opportunity to advance skills already gained on expeditions for the Bronze Award. Those that have not done a Bronze should see Miss Montague if interested. University and Apprenticeship Advice, Guidance and Support – we provide time and expertise to support students as they research and plan for their post 18 options. With partners in elite universities we support students to explore their options and maximise their potential to follow their chosen path. Enterprise – an opportunity to create, plan and run a business. Sport/ Fitness activities – either individually or as a group, students can organise sporting activities either on school site (in agreement with the PE Department) or at a leisure centre. There are football, basketball, 10 pin bowling and table tennis competitions. Department Volunteering – students can assist a department by supporting a lesson, club on a weekly basis. They may wish to also help out at Open Evenings. Library Volunteering – similar to department volunteering but based in the library. Students would have particular responsibility in helping to develop the new Careers Library section. Volunteering outside School – students may already be involved in volunteering outside of school – this can count towards their enrichment hours. Students may wish to develop their volunteering to help the community and can gain help from staff to do this. First Give – working with others to raise money for local charities and bid for funding from Jack Petchy.